Cape Town may be a city but it’s a city surrounded with breathtaking nature, and in this nature you will find some of the world’s most amazing animals. From the famous Big 5, to penguins on the beach, or whales in the ocean, Cape Town has it all. So take a walk on the wild side with 7 animal encounters close to Cape Town. No matter who you are, there’s something for you! This colony of African penguins is one of the few in the world, and visitors are fascinated by seeing penguins waddling around on white sands instead of icebergs. The South African National Park Service has turned this beach into a national park in order to further protect the now-endangered species. There are helpful boardwalks that raise you up slightly above the penguins. This enables them to do their thing in peace, while allowing folks like us the chance to view them closely and get some incredible images. The best time to photograph is early morning and late afternoon as the penguins leave to go to sea or come back from feeding. 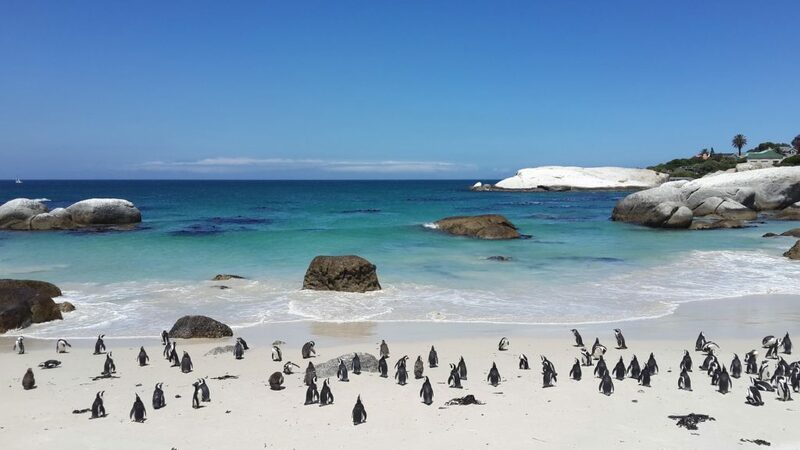 After you have fallen in love with the penguins head to the secluded Boulders Beach and take a swim in the comparatively warm waters of False Bay. 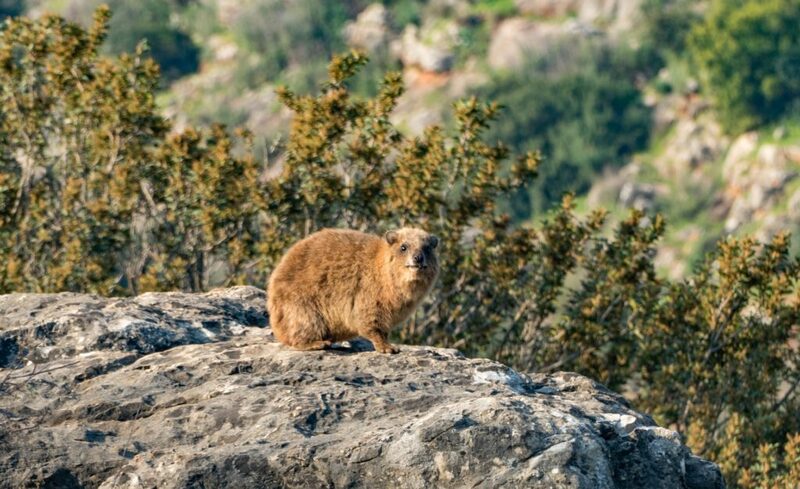 The outsized fluffy guinea pigs you’ll encounter at the top of Table Mountain are dassies or hyraxes (Procavia capensis), which, despite their appearance, aren’t rodents at all, but the closest living relatives of elephants. Dassies are can be found on rocky outcrops throughout South Africa, but are particularly prevalent on Table Mountain without the threat of a natural predator. Dassies feed on leaves, a variety of fruit, and seeds. Dassies have evolved into somewhat lazy creatures. 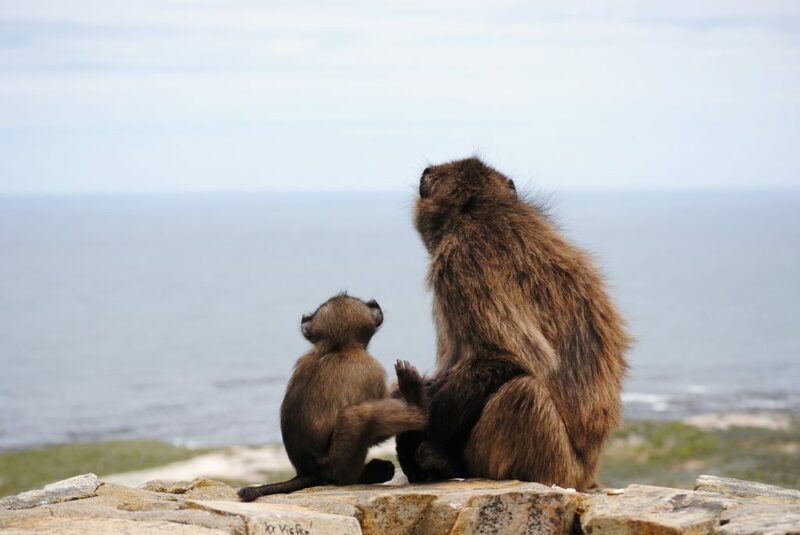 A favourite pastime is basking in the sun on large rocks, particularly during mornings and late afternoons, the rock dassie seems to be the small and lazy brother in this family tree. Go check them out whilst hiking up Table Mountain or after riding the Cable Car to the top. The 2 Oceans Aquarium is conveniently located in the popular tourist attraction, the V & A Waterfront. This amazing aquarium takes its name from the two oceans that meet at the southern tip of Africa, the Atlantic and Indian oceans. There are over 3000 marine animals hosted in a variety of aquatic displays, some of which are even interactive. 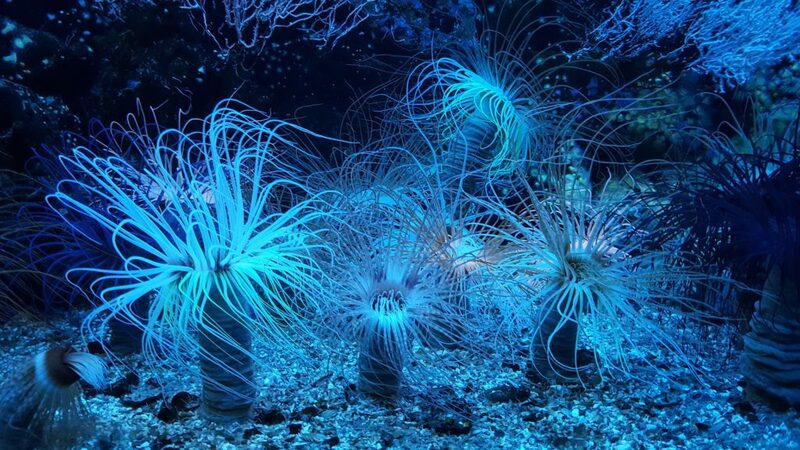 From sharks to seahorses, jelly fish to seals, experience the magic of underwater life without getting wet. Wander through the Jelly Gallery to the Kelp Forest and walk through an underwater tunnel to visit the penguin feeding area. It’s a great experience for families or anyone who loves finding Nemo. Approximately an hour and a half away from Cape Town is the charming seaside town of Hermanus. 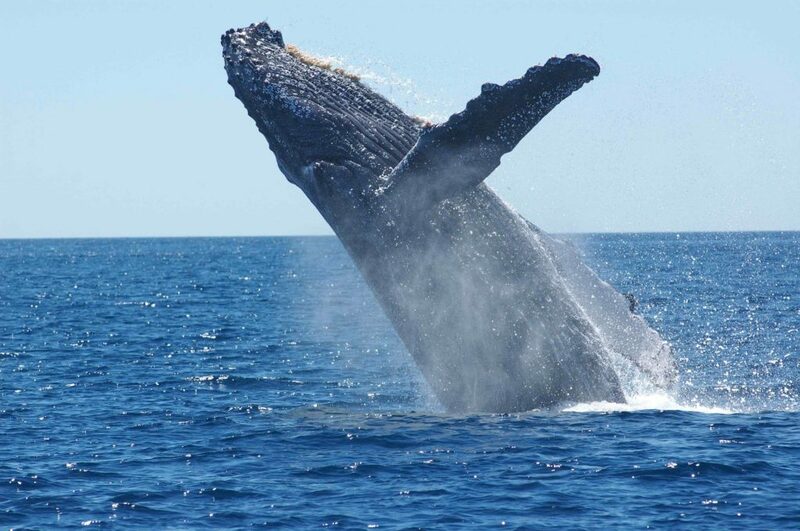 A popular holiday destination for tourists and locals alike, Hermanus is renowned for offering the best land-based whale watching in the world. Whales can be seen as close as 20-30 metres away frolicking in the sheltered bay or just beyond the breakers. The annual whale Festival takes place during the “whale watching season” late September each year. Hermanus also offers a big variety of hotels and guest houses as well as self- catering houses to rent for a getaway weekend. Kirstenbosch was established in 1913 to promote, conserve and display the diverse flora of South Africa, and was the first botanical garden in the world to be devoted to a country’s indigenous flora & fauna. It offers an incredible living space for birds, reptiles, frogs, and invertebrates. Birds are found in abundance at Kirstenbosch, particularly in the Garden – more than 125 species have been recorded. Look out for the Sugarbird (Promerops cafer), with its distinctive long tail, Sunbirds (Nectarinia species) with their colourful plumage and the African Dusky Flycatcher (Muscicapa adusta) which is frequently seen swooping down from the trees to catch flying insects. Kirstenbosch is home to a rich insect life and butterflies are plentiful during summer. The most spectacular butterfly is the Table Mountain Beauty (Aeropetes tulbaghia), which is attracted to and pollinates, red flowers like the red disa (Disa uniflora) and the red crassula (Crassula coccinea). 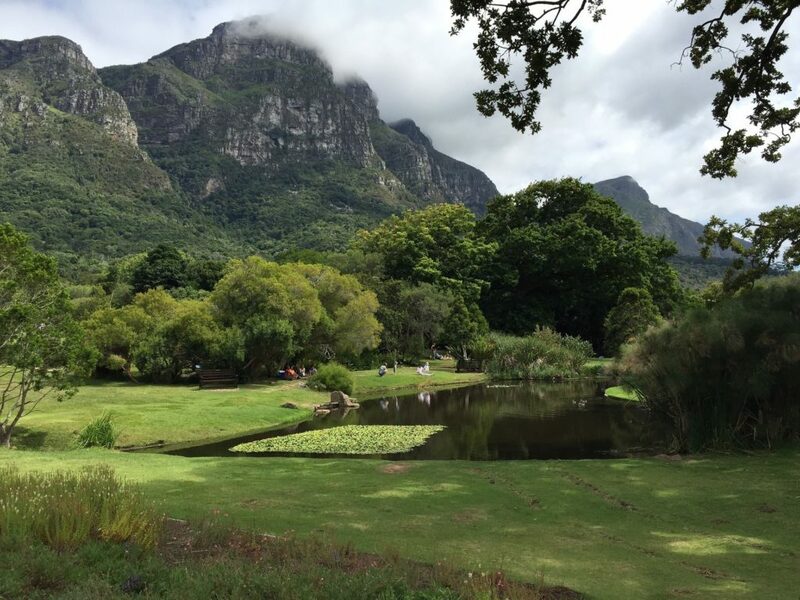 With its exceptional setting on the forested eastern slopes of Table Mountain, Kirstenbosch is without a doubt one of the world’s greatest- and most beautiful- botanical gardens. The Cape of Good Hope is a rocky headland on the Atlantic coast of the Cape Peninsula and is a natural World Heritage Site. This large national park is home to a variety of uniquely African animals but due to the vegetation, the herds are not large. Mongooses, Chacma baboons, porcupines, bontebok, zebra, eland, ostrich, grysbok, leopard tortoises, chameleons, lizards, and snakes such as Boomslang, Cape Cobras, and Puff Adders can all be found here. Impressive concentrations of small shoaling fish make Cape Point one of the best areas in the world to observe ocean birds. Seafaring birds spotted at Cape Point are albatrosses, gannets, petrels, gulls, cormorants, and oystercatchers. The ice-blue water of Cape Point looks like it comes straight from the Antarctic, and if you go for a dip it can feel like it too. Orcas, humpback whales, and southern right whales thrive in those icy waters and can often be spotted from the various beaches and rocky cliffs along the coast line. The Aquila Private Game Reserve is a 10,000-hectare game reserve in the southern Karoo. It is the home to the big 5 legends of the wilderness – elephant, lion, buffalo, leopard and rhino as well as springbok, Cape porcupine, Chacma baboon. The reserve has two large swimming pools, each with a pool bar overlooking the reserve. There are large dining areas, and cosy cigar bars and lounges. You have the possibility to stay a night in a cottage or lodge or just come as a day visitor to do quad tours, horseback safaris or a game drive 3 times a day. 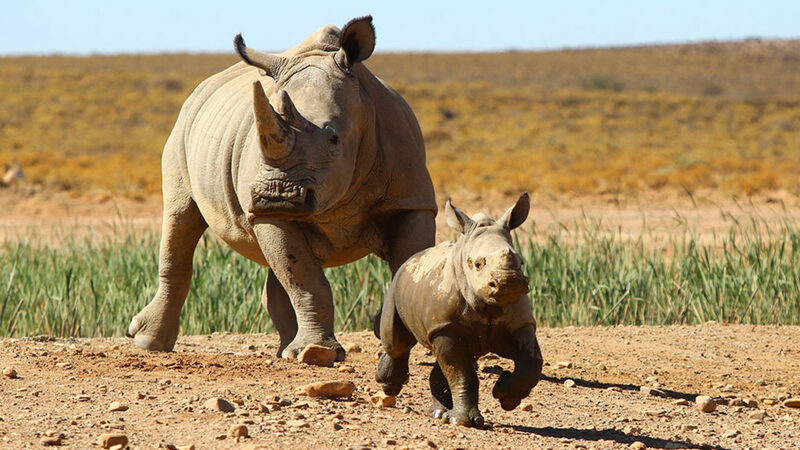 The Inverdoorn Game Reserve is just 50 km away from Aquila and also filled with various natural life including the Big Five. The reserve has made a significant contribution to sustaining the biodiversity of the region and is also home to the successful cheetah conservation centre. The reserve offers exceptional wildlife encounters, great scenery, and modern accommodation amenities. There is a range of luxury accommodation options, from charming guest houses for families or bigger groups to chalets, luxury chalets, exclusive ambassador suite and the Inverdoorn latest accommodation called Kuganha tented camp.